If there’s one supplement that really has paved way to what has now become a multi-billion dollar industry, it’s whey protein. The by-product of cheese production, there is little doubt about whey proteins ability to enhance muscular growth and improve recovery times. The only contention? The best time to take it. Whey protein has become a much sought-after source of protein for bodybuilders and athletes over the last 3 decades for several reasons. With a complete amino acid profile, it’s typically now held up as the benchmark protein by which others sources are measured against. It’s highly bioavailable (meaning you absorb its contents well), is rich in glutamine for recovery, Branched Chain Amino Acids (BCAA’s) for muscle building, and has a full spectrum of Essential Amino Acids (EAA’s). There’s little argument over its efficacy as an effective supplement. Whey protein is typically classed as a ‘fast-acting protein’, in the sense that it’s absorbed rapidly by the body and able to spike protein synthesis (muscle building) levels quickly upon ingestion. With whey being fast digesting in nature, it stands to reason that it’s utilized primarily around times where there’s an urgent need for a quality source of protein. After a long nights sleep, the body wakes up starved of amino acids. Now is an ample time to consume a fast-acting source of protein to set the tone right for the rest of the day. A quick whey protein shake consumed during this period will immediately boost protein synthesis and help negate the effects of cortisol (a stress hormone) during the morning and switch you back into an anabolic state. Try to consume around 20-30grams of whey protein during this period. Taking whey protein just before your workout (45 minutes beforehand) ensures that you won’t start to degrade muscle tissue excessively and utilize amino acids for fuel. Instead, a quality surge of BCAA’s can even help enhance your performance and recovery times between sets. Just a small amount of whey protein is needed during this period to ensure you’re adequately fuelled. Again, a 20-30gram serving is optimal for most, even if you are an athlete who’s above 200lbs. The BCAA content is sufficient within this dosage to enhance intra-workout performance for all athletes, irrespective of body mass. I workout in the morning and my morning shake is also my pre-workout shake. Where whey protein made its name. Traditionally, bodybuilders would consume a whey protein shake immediately upon completion of their last set. Today, it’s still standard procedure for most athletes to consume whey protein instantly after their sessions. Not only do the amino acids found within whey halt catabolism (muscle wastage), the leucine-rich protein also kick-starts the recovery process. Post-workout has long been renowned as a key window of opportunity. This is because the body is depleted and in desperate need of nutrients to replenish it. Muscle protein synthesis can be elevated significantly, and whey protein is the perfect combatant to fight off fatigue and drive nutrients directly towards rebuilding muscle tissue. 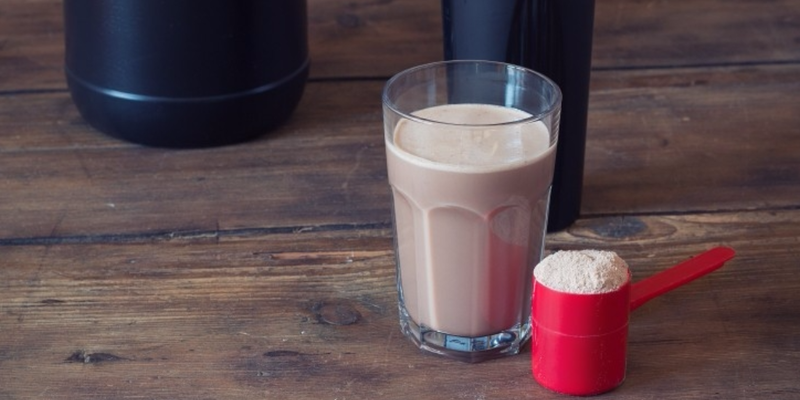 Because it’s regarded as a window of growth, many athletes choose to double up their standard dosage of whey protein post-workout and will typically consume 40-50grams of it. “Before bed? Wouldn’t it make sense to use a slow digesting form of protein, such as casein?” one might reasonably ask. 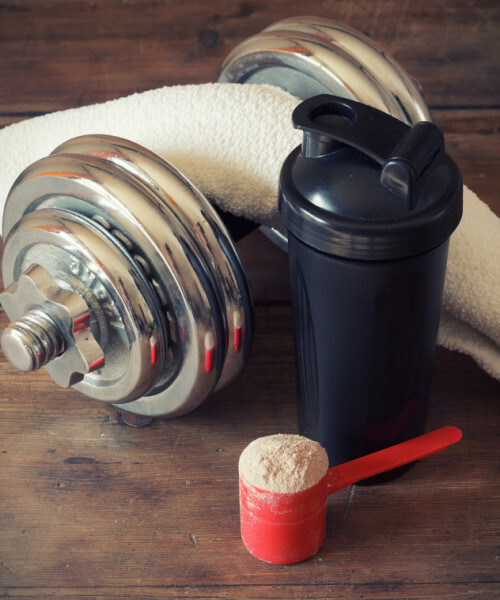 Here’s a neat little trick for getting even more out of your whey protein. Despite its fast-acting nature, you can significantly slow down the absorption rate by combining it with a source of fats. Pairing it together with a healthy form of fats such as peanut butter allows you to get the immediate surge in muscle protein synthesis from the whey, while simultaneously allowing the potent amino acids to trickle slowly into the bloodstream for the hours you’re asleep. To get the most out of a dosage before bed, consume at least 40grams of whey protein combined with your choice of fats in order to ensure your body is adequately fueled overnight with optimal amino acids.